Missouri’s wine and craft beer industries are thriving, drawing tourists who are ready to sip and sample the many varieties the state has to offer. Generating $1.76 billion annually, Missouri’s more than 130 wineries attract nearly a million people each year. The state also has 10 wine trails, such as the Ozark Mountain Trail and the Kansas City Wine Trail, each situated in different regions of the state and offering unique varieties and flavors. One of Missouri’s most popular and recognizable wineries is St. James Winery in St. James, which was established in 1970 by Jim and Pat Hofherr and is now operated by their son, Dr. Peter Hofherr. Producing about 250,000 cases of wine each year, the winery is the largest and most awarded wine producer in the state. It’s also the fifth-largest winery east of the Rocky Mountains. Within just a few miles of St. James Winery are its five vineyards that cover a total of 185 acres and provide approximately 60 percent of the winery’s grapes, with the other 40 percent supplied from vineyards across the Midwest. Offering complimentary tastings and tours, the winery welcomes more than 80,000 visitors annually. Its property also includes Public House Brewing Co.’s production brewery and tasting room, and the two businesses share a wine and beer garden. Craft beer lovers also find plenty to enjoy in Missouri, with the state’s breweries generating more than $921 million annually. St. Louis has grown into a craft beer hot spot, home to destinations like Urban Chestnut Brewing Co., 4 Hands Brewing Co., Perennial Artisan Ales and Square One Brewery & Distillery that are drawing national attention. 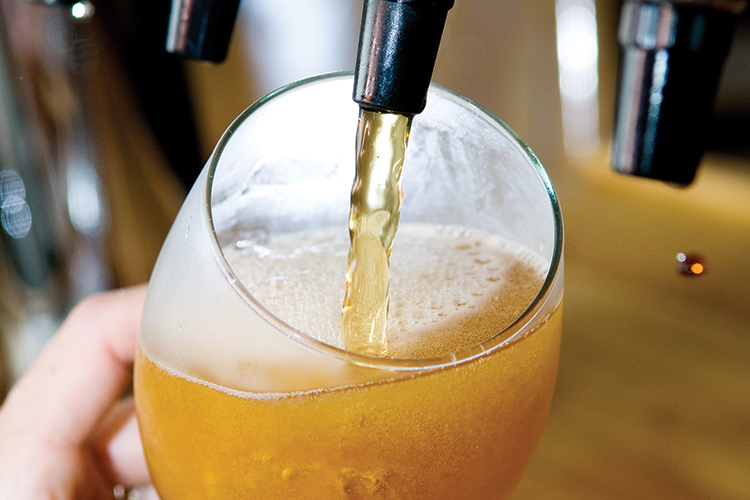 In addition, the city hosts the St. Louis Craft Beer Week to celebrate and promote the industry. Located in Kansas City, Boulevard Brewing Co. is one of the largest specialty brewers in the Midwest and Missouri’s largest craft brewery. Boulevard even scored a spot on the USA Today list of the top 15 craft breweries in the country, thanks in part to its Smokestack Series that includes six year-round releases, as well as limited releases and seasonal brands.